This week Access All Areas members are being treated to another fantastic resource from the Vandelay Premier library. The Exotico User Interface pack is a collection of Photoshop PSD files containing an array of useful buttons, icons and interface elements that can be dragged and dropped into your own design projects. 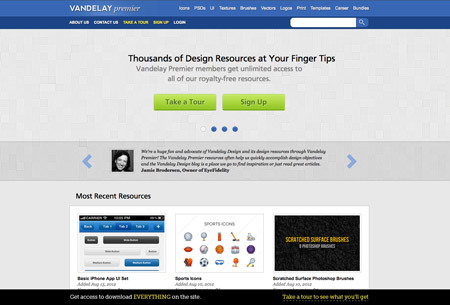 Sign up as a Vandelay Premier member to gain access to thousands of design resources. As a member you have unlimited access to all their royalty-free resources, including icons, brushes, vectors and various document templates. 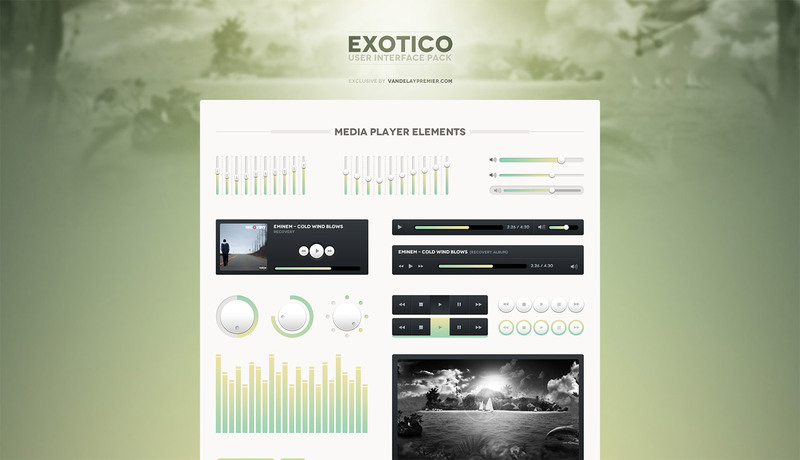 The Exotico UI set available to Access All Areas members contains hundreds of elements spread over 4 PSD files. 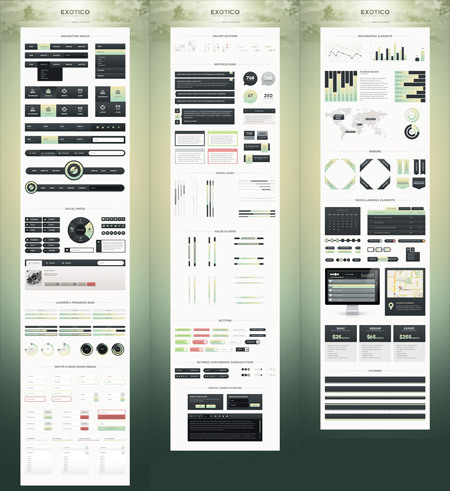 Each element is editable through the Photoshop layers, so you can easily change colors, text, and sizes. I’m sure these are better than anything I could create and would certainly save a lot of time. But I prefer not to use stock elements when possible. That looks amazing ;) good job.